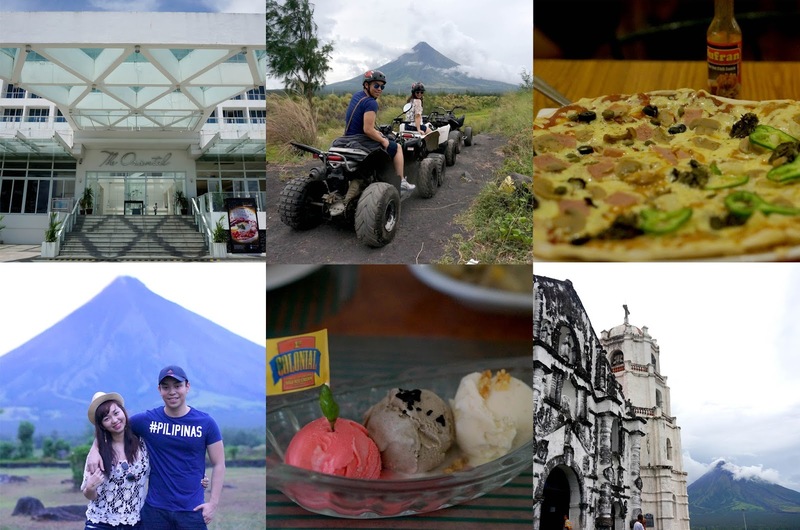 Mike and I had a FUN-tastic time in Albay. We decided to only spend 3 days (2 1/2 to be exact) because we both had work and we couldn't afford to take a longer leave. 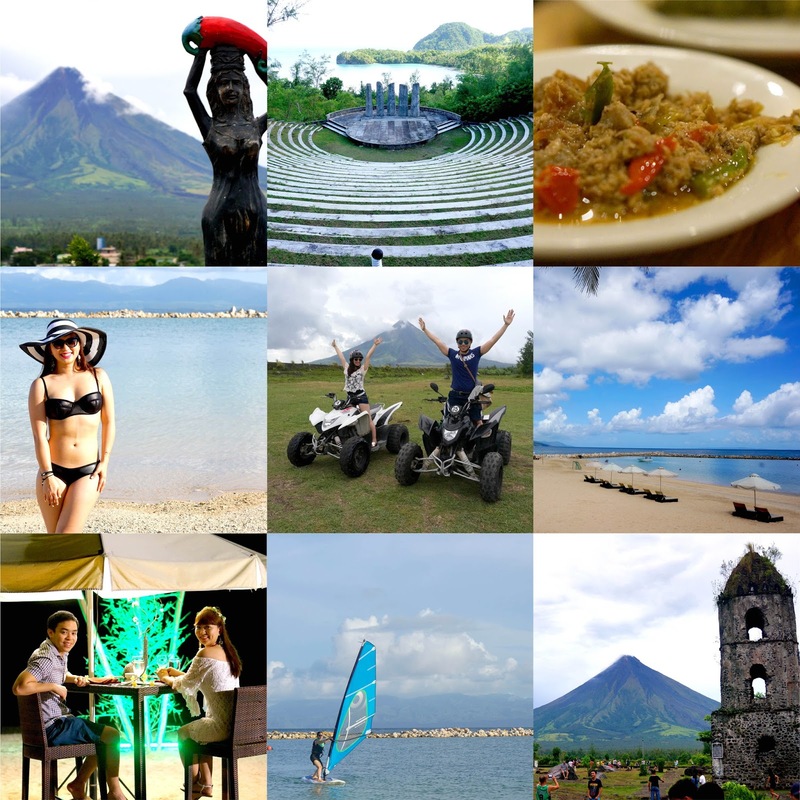 For me, the three-day Albay vacation was just enough to experience its famous sights and offerings. If you're an adventure seeker, nature lover, beach bum and want to have a romantic moment with your partner here's a quick rundown of what ChaMike did during those days. 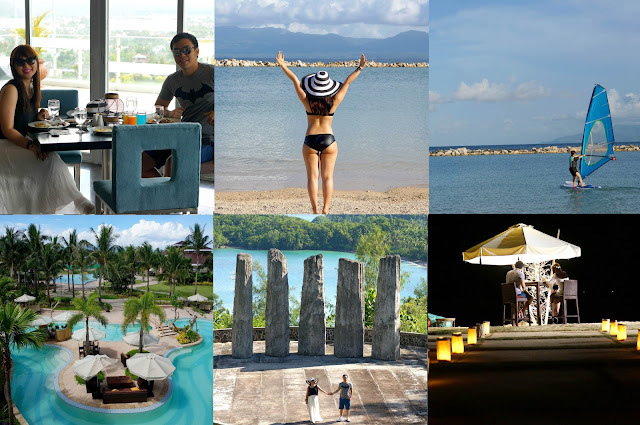 We went to Legazpi via Cebu Pacific Air from Manila and vice versa. Day 1 was spent exploring Legazpi and Daraga by doing activities which involved appreciating Mt Mayon. We really wanted to experience riding an ATV so that was definitely on top of our list. During this trip we relied on a rented private vehicle to save more time. From Legazpi we transferred to Misibis Bay, Cagraray Island to feel the summer vibe. Since we failed to go to any beach during summer, we made a quick escape to Misibis Bay for a last hurrah before rainy season arrives. 09:00 am - 10:00 am Visit Embarcadero. The last day was spent exploring the resort and appreciating nature. In the afternoon we transferred to Legazpi Airport. Good bye Albay! I have to admit we kind of splurged a bit for this trip. We opted to spend more than what we used to when we travel like booking a regular flight rather than a seat sale, renting a private vehicle rather than using a public transportation and setting up a romantic dinner for two rather than a simple dinner at the restaurant. 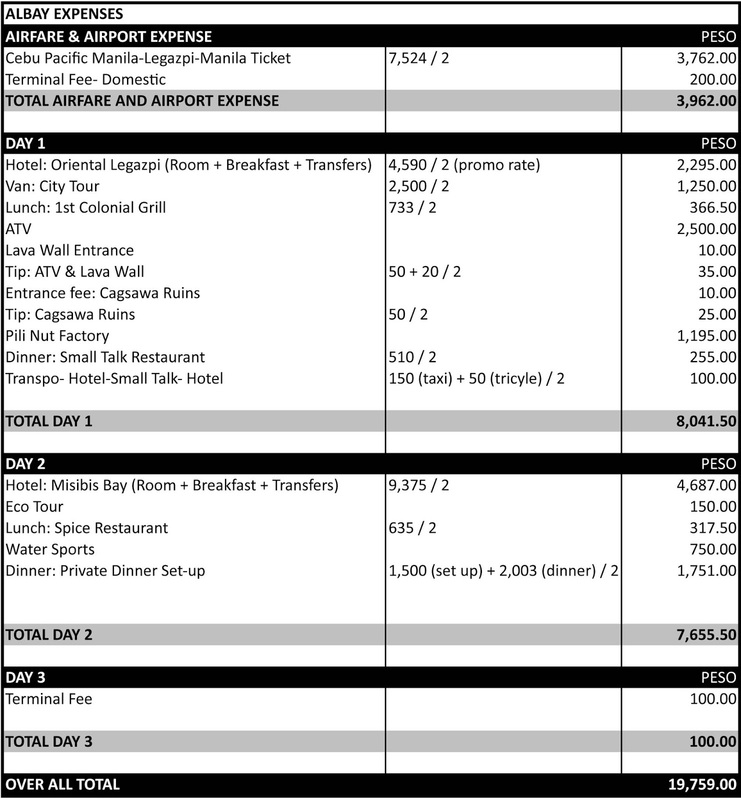 So you will notice below that our trip to Albay was a bit expensive. You can opt to save more than what I did though sometimes spending more can make your trip worthwhile, convenient and more memorable. Great for a weekend getaway! Very informative post.